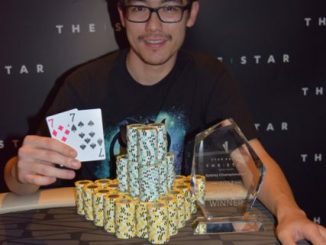 The 2014 Sydney Poker Championships at The Star began in style last night with a complete sell-out of the Opening Event $330 NLH Repecharge Day 1 Flight 1. 275 players filled the Star Poker room to start the event. By the end of twelve 40-minute levels of play, 46 players remained to qualify for Day 2. Last year saw records fall over the three Day 1 flights when 914 entered the Opening Event. 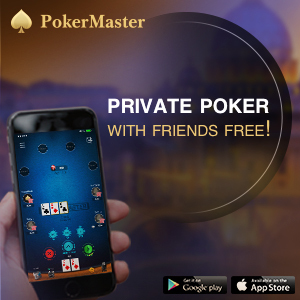 Reaching or even surpassing this number will depend on Star Poker configurations but given that the event is a repechage, there’s every chance that records will tumble for a consecutive year. One thing is for sure though, a massive field will ensure a prize pool of around $250,000 will be up for grabs. The winner is expected to take home around $50,000. Two more flights remain in the Opening Event. Flight 2 will begin at 6.15pm tonight. Flight 3 will commence on Friday August 1 at 12.30pm. Those that qualify from the three Day 1 flights will earn a place in the starting list for Day 2 that will begin on Saturday August 2 at 12.30pm. Play is expected to continue on Day 2 until a final table is reached. Those players who make the final table will return on Sunday August 3 to compete for the crown. PokerMedia Australia will enter the fourth year of our association with Star Poker with the eighth running of the PMA Special Event. The $1100 No Limit Hold’em Event will be a six-handed affair and will include one re-entry opportunity. Play will begin on Sunday August 3 at 12.30pm. Our live reporting team will be on hand so be sure to follow the event details right here at pokermedia.com.au. 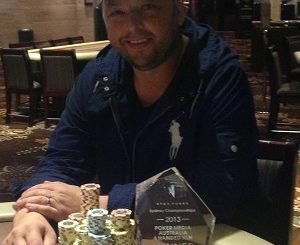 The Main Event buy-in has remained at $3000 for the second year in a row, with the battle for the 2014 Sydney Champs title scheduled to kick-off on Friday August 8. 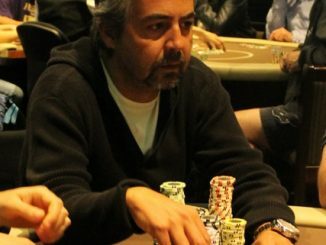 The starting stack for the event has been updated to 30,000 in chips since the announcement of the schedule, so players will have plenty of opportunity to show their poker prowess.